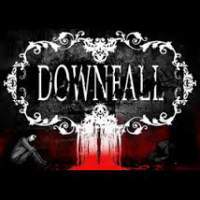 Downfall was originally released in 2009 as a point & click adventure, and was later made freeware in 2014. It gained popularity, however it was Michalski's first game and the versions available today are still fraught with unfixable errors. They decided a remake would be the best option for a Steam release. The remake is fully voiced, an all new original micAmic soundtrack and other artists, mechanics similar to The Cat Lady and updated dialogues, animations and overall excitement. It will also include text for multiple languages including EFIGS and Russian.